Do we need a dedicated double-poling ski? 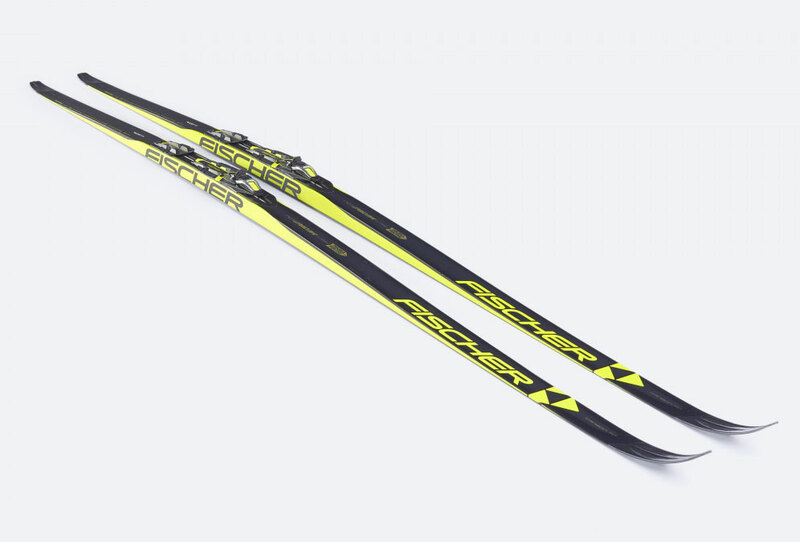 Fischer has introduced their new Speedmax Classic Double-Poling ski that tries to combine the best parts of skate ski construction with those of classic ski construction. Fischer claims there is "a noticeable increase in power when double poling" because the skis allow for more efficient use of the arms. The new ski uses Cold Base Bonding and the new Precision Pairing System ("The next generation in ski pairing: fully automatic dynamic measurements of a multitude of pairing criteria ensures precise ski choice and optimized pairing") – to ensure exact ski selection and optimum ski pairing. Using the Classic 812 profile (see the diagram and table below), the ski is constructed with a long, dynamic wax pocket pattern (o course, if you are double-poling, you're not going to be kick-waxing that pocket). Fischer says this is "ideal for cold conditions and dry wax conditions". What's interesting is that the Classic Double Pole Ski has the DTG World Cup Plus warm base: It has a "deeper and coarser Plus structure, ideal for warm and moist conditions". 115 Skate ski where the balance point is a bit forward, making it fast and controllable in hard transformed snow conditions. 610 Skate ski where the balance point is fairly far back (holes in the tips, anyone? ), letting the ski float in the front (surfing, anyone?). Great in a broad range of conditions. 812 Classic camber, designed to raise the wax pocket when the weight is back, but when the foot is rolled forward, the pocket closes for kick. 902 Designed as a klister ski: compared to the 812: higher camber, more tip and tail splay. Best for wet and transformed snow. Zach Caldwell wrote back in November of 2015 that double-polers tended to use skate skis on shorter more technical courses where downhills are fast and technical. (If you're a "total" skier, you know that skate skis act much more like downhill skis in carving turns, while classic skis can be a bear and require stepping around a corner.) He also wrote that classic skis were the choice for racers over courses where the ups and downs were more moderate and edge control was less of an issue. I can see why the 812 construction may make the ski easier to control in technical conditions over the 902, but I don't really get the Plus bases. Of course, with many European races running on man-made snow these days, maybe Plus bases DO make sense. So will we see Rebecca Davis with a brand new pair Fischer Double-Pole skis on the Michigan Cup circuit next year? Or will the Michigan Cup skiers stay use their existing skate and unwaxed classic skis?